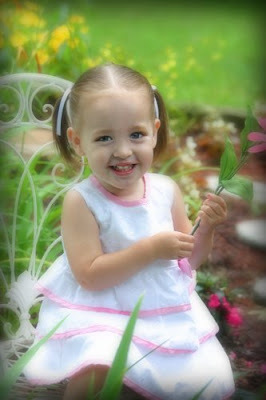 For one week only, July 14th - 18th, I'll be doing country garden mini sessions for only $10! 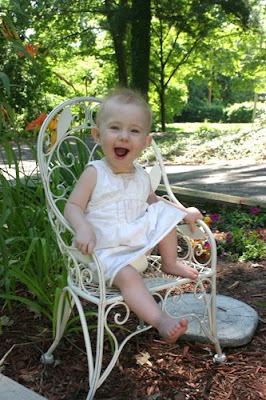 This special includes a 20 minute session in which I will take 10-20 beautiful portraits of your child in our new country garden setting while they enjoy the fun atmosphere and yummy ice cream. Plus, print out the coupon below and you'll get one FREE 8x10 ($8 value) too! After the session, all your photos will be posted online in your own private gallery for easy viewing, sharing, and ordering. 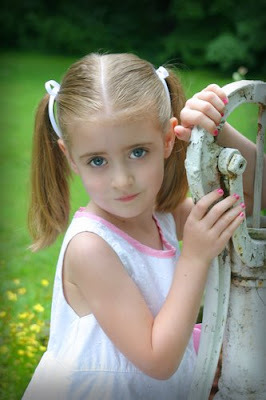 This session is perfect for children ages 6 months - 6 years. 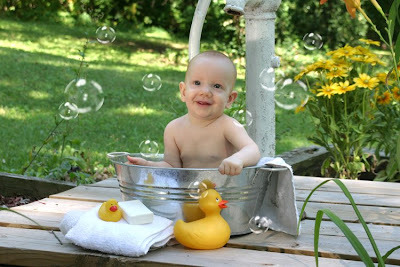 For the babies small enough to sit in the pail, we can do bathime shots complete with rubber duckies and bubbles. For the todlers, there's nothing more fun that splashing their bare feet in a pail of water. 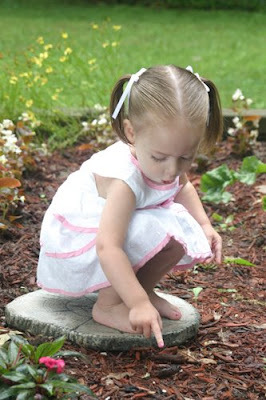 Little girls love watering the garden flowers and playing in the flowers. And of course, we can't capture the joy of summer without a little ice cream! Session includes one child. Additional children can be added for only $5 each, plus for each extra child you add you also get a FREE 5x7 ($5 value) as well! 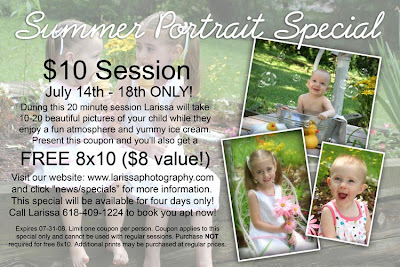 Special $10 price only applies to sessions booked on July 14, 15, 16, 17, and 18. If you can't make it any of these dates, you can still book the session any other day during the summer, however the cost of the session will be $20 and will include everything listed above.